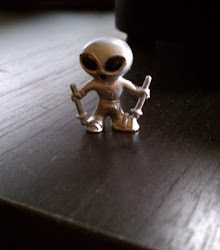 Last summer I paid $35 to become a member of MUFON, the Mutual UFO Network. For that money, I was supposed to get a full membership and the monthly e-Journal. Millionaires can pay $50 and get hard copies of the Journal. Billionaires can fork over $55 to get the Journal in both hard copy and electronic formats. But I am neither a millionaire or a billionaire, so I got the cheap membership and saved a few trees. I got the July e-Journal and then the August e-Journal. They were pretty interesting, but how could they not be when the August issue had a picture of bigfoot on the cover? I read them both from e-cover to e-cover, and found enough interesting material to blog about a few items. I was pleased, and looked forward to the next issue. Which never came. September came and went. October came and went. November came and is going fast. No new e-Journal. What could have caused them to suspend publication for three months? Surely my $35 dollars must be good for a few months of e-publishing. Today, in my quest to discover the truth, I went to the MUFON website and found evidence of the ultimate betrayal. They did NOT suspend publication of the e-Journal. They just suspended publication of the e-Journal for ME. I don't know how to feel about this. MUFON has been moving on without me. 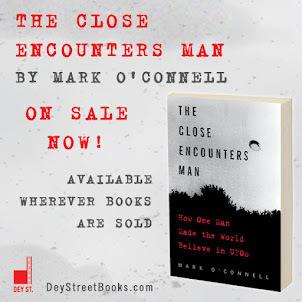 They have amassed three months' worth of sighting reports, have held three monthly meetings, have possible solved the riddle of UFOs in its entirety, without letting me know. There may be a good explanation for this. In the November issue, MUFON Director Cliff Clift mentions that the organization recently transferred all their data to a new Case Management System. Maybe I just slipped through the cracks. Maybe nobody is getting their e-Journal. Maybe just the millionaires and billionaires are getting theirs. That is a good place to make investment and you have been doing a great job in this tenure. If this idea is worth of working than I am sure to give a try using them for the favorite purpose.